I am fundraising to bring Kashmir Flood Survivors Out of Darkness with Solar Lights. Can we all try and provide some relief to the affected people? The focus is now shifting from rescue to relief and rehabilitation. 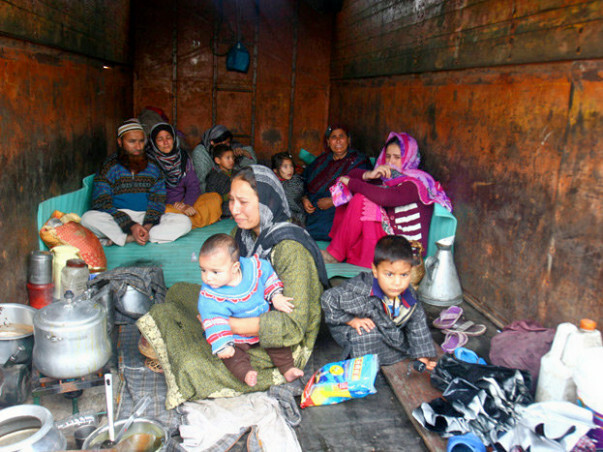 One of the biggest issues going forward will be shortage of essential supplies to J&K, with winter fast approaching. We have heard from our on the ground partners, that there is a massive need for solar lights that can both light large areas, and charge mobile phones so people can communicate. After over a week of discussions with various on-the-ground entities, Milaap is fundraising for Frontier Markets - a solar lighting distribution company with on-ground partners, to deliver solar lights with mobile chargers in response to the heavy power cuts due to the floods. In response to this need, we are asking you to join hands and sponsor lights for us to airlift to Jammu and send to these victims. True to Milaap's approach towards rightful end-utilization and transparency, Frontier Markets will provide you with details about the J&K Household that is receiving a solar lantern because of you. Not just that, you'll also receive an invoice once you make a donation, as well as a declaration form that this light will be sent to the J&K Flood Relief Efforts. We are going to be sending the following light: The S300 has won numerous global awards for its performance and meets all the requirements for this disaster. The pricing for this light has been subsidized and will cost Rs. 1500 ($25). 100% of your contributions will be go towards funding these lights. We encourage our community to stand in solidarity with distressed flood-affected people in Jammu and Kashmir and be part of the national effort to support them in this hour of crisis. Do contribute generously towards this relief.